We know Peter Ticktin as a famous lawyer from his Court TV trial to unearthing the Robo-signers of false affidavits used by the banks in the great recession. His evidence yielded a settlement of $30 Billion for the states from the banks. He’s also the founder of The Global Warming Foundation. He’ll be speaking at City Fish Market in Boca Raton on March 14th, 2018, from 11:30 to 1pm. 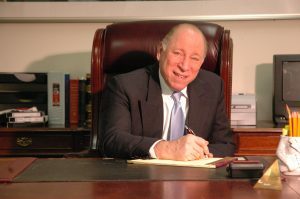 Peter Ticktin is more than an attorney. He is a businessman and an inventor with utility patents involving applications of scientific principles. 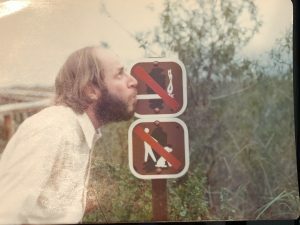 His background is in science and for more than 50 years, he has been involved with global warming, which he believes is our biggest existential threat, and he claims his involvement to be his raison d’être, his reason for being. In 2009 he started The Global Warming Foundation (www.TGWF.org), which is not inclined to preach, but rather to provide information to those already knowledgeable and accepting of this threat. 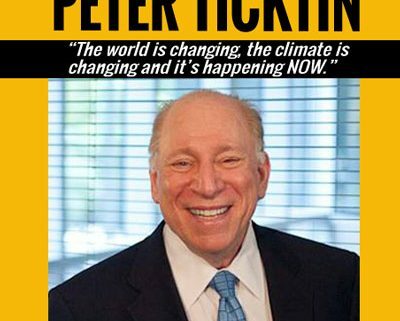 What makes Peter Ticktin interesting, though, is not just that he understands the condition of our planet, but that he has a position which no one else extols. He is a true believer in Global Warming and yet, he insists that President Trump is right! He believes that it is important that we prosper, and that means that it is important to burn fossil fuels, even if it is exacerbating the problem. He does not agree with the people who are pushing to lower our use of fossil fuels. According to Mr. Ticktin, we are already past the tipping point. He points out, for instance, that we are already getting storms such as Harvey, which dropped 4 feet, 2 inches of water on Houston. We should expect more of these with even more water. 70% of the Great Barrier Reef, a 1,400 mile living organism is dead. The streets of Miami and Norwalk periodically flood due to sea level change. Forest fires are far worse than ever, not only here, but in places like Chile. Last Christmas the temperatureon the North Pole was 32.7 Degrees Fahrenheit. It was melting on the shortest darkest days of the year. The point is that something is amiss. The good news is that there are more ways than one to skin a cat. Dropping the use of fossil fuels is like stopping eating. It isn’t going to happen. It could work, except that it will take far more time than we humans have to change our ways. In the meanwhile, we can apply geo-engineering to give us the time we need to save our planet. This needs a good plan and it needs to be decided and applied soon.